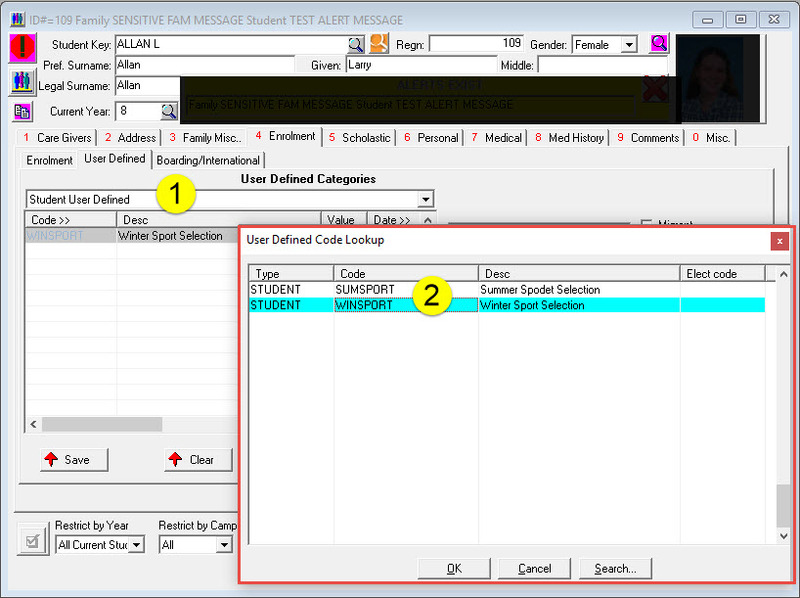 PCSchool allows many of the drop down menu items to be customised to suit the school. There are 2 aspects which can be adjusted. The primary area is the “Maintenance Codes”. There are preset codes that relate to menus within PCSchool. Values can be added/removed or changed to suit. The example below controls the options available when selecting a “House” for a student. 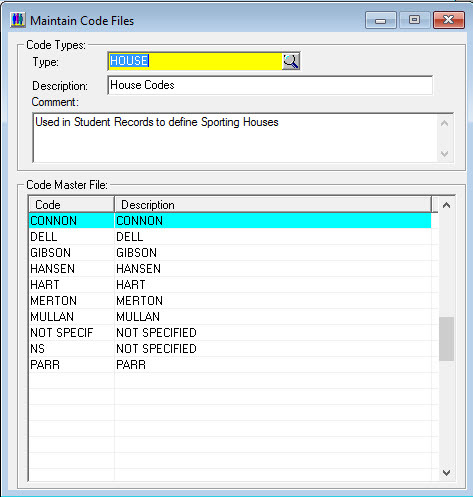 It is important that codes are not deleted if they have been applied against a student. The “User Defined” codes allow schools to create their own customised categories within the Staff, Student and Caregiver areas.